Beach Tint is rated 4.6 out of 5 by 110. Get that enviable sun-kissed glow all year round with BECCA Beach Tint, a treat for the cheeks from the brand’s luxurious makeup range. Discreet and natural-looking, this super-soft jelly formula will grace lips or cheeks with equal aplomb. Use the smallest drops of BECCA Beach Tint to bless the complexion with a rosy, fresh-faced blush. The solution will care for and nourish cheeks as it colours them. The formula includes vitamin E to soothe the skin and Nylon – 12, which continually works to absorb sebum, creating an even tone and a supremely soft texture. Dot a small amount onto the fingertips and apply to the cheeks or lips. Wear alone, or with makeup. 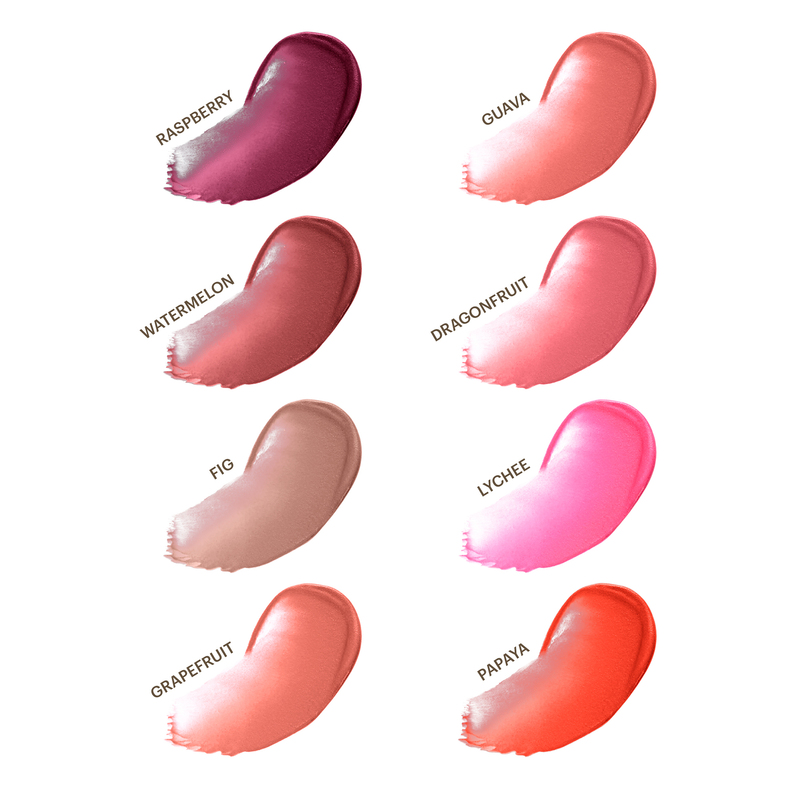 BECCA Beach Tint is an excellent product to add vibrancy to blushers, lip balms, bronzers and glosses. Deliver a warm glow with the help of the BECCA Beach Tint, a bronzing makeup designed to add a hint of holiday colour to the skin that is also ideal for accentuating the cheekbones. Rated 4 out of 5 by Toria87 from Lovely blusher I always like a multi use product and this is no exception! I've got this in shade guava and it's a gorgeous summery coral shade that would suit most skin tones. The cream is pigmented and blends really easily. The only slight negative is that it separates in the tube so you've got to remember to give it a good shake before using else it comes out watery. Rated 5 out of 5 by D_ldn from Best summer blusher that doesn't fade or move You know foundations, blushers and the whole shabang starts moving when you're sweaty during the warmer summer months? well this is the product I have been missing in my life. I purchased Guava which by the way smells heavenly. I dabbed a little on my cheeks and also on my lips and applied gloss on top. The shade is so fresh and gorgeous and lasts the whole day since water proof. Highly recommend this! Rated 5 out of 5 by zhr123 from beautiful Im a sucker for tints or any cream products for my face. I have he colour in Guava and it complements my skin tone really well (I am more on the tanned olive side). I think the colour pay off is beautiful and provides a long lasting natural glow to your cheeks. I occasionally sweep it across my nose. Rated 5 out of 5 by ciel from Perfect for beach and holiday Just like the name says, these are perfect for the beach and other watery holidays, when you'll be in and out of the water. Ever since I bought my first ones a few years ago, they always come with me on any warm, beachy holidays. I now have a little collection of four colours and I do find them very blendable, so the deeper colours aren't so scary on light skin. The colours I have are Raspberry, Lychee, Papaya and Dragonfruit. These are one of the few lip and cheek products I have that I find do work equally well on lips and cheeks. On the lips they don't dry out and they blend easily on the cheeks. I find the best way to apply them is dabbing and blending with fingertips. You only really need a couple of dots on the cheeks, but it's easy to go back and add more once you've blended out. I actually wear these to the beach and pool with some waterproof mascara (Eyeko Sport Waterproof) and it's a perfect summer holiday look. I've been on holidays where I'm in and out of the water all day at the beach, pool and boat trips and I still have some left on at the end of the day. Being in the water so much, there will be some fading naturally, but there's still some colour. All this applied over sunscreen naturally. In the evening, I add a little bronzer and eyeliner, maybe an eyeshadow stick and I'm all set. It really does make holiday makeup so much easier. Rated 5 out of 5 by Anonymous from gooooood This tint becca is incredibly easy to use, and does not feel on the skin. I used it on vacation, perfect for the natural effect. Suited even for use instead shadows, and of course for lips cheeks. It is very easy to apply, does not create a greasy effect.